The body uses the inflammation process to heal itself. There is no avoiding the necessity of this process to help heal and improve physically over time. It goes on mostly without our knowing. When we get injured, the long time advice is to rest and ice to aid recovery. While this is appropriate in acute and more severe injuries, it is not so clear-cut in all cases like longer term repetitive injuries. Icing helps reduce inflammation, and it can both aid and slow the recovery process. Like anything, it depends on the situation. Finding the optimal balance and right course of action is often a challenge. When one is working towards recovery or just being healthy, understanding the role inflammation plays in this process is very important. The body has amazing ability to maintain balance and keep relative homeostasis within a healthy boundary. This is happening even though we constantly feed it with foods that actually stoke the fires of inflammation. In normal cases a healthy body is able to moderate the flames and keep things under control. The Standard American Diet tends to be high in grain and low in greens and deep-coloured foods. The grains we eat, certain oils, and proteins are in general inflammation producing. So the more we eat, the harder the body needs to work to maintain a balance. However, this is not anywhere near optimal from a wellness perspective and sets you at risk for a setback. A body that is being challenged too much with a diet rich in inflammation causing foods is working too hard just to maintain it’s balance. This makes the body vulnerable. When an injury is sustained that is repetitive in nature, it can be easily pushed over the edge and cause the inflammation process to spiral out of control. In a healthy environment, the normal healing response can make things worse when the flames grow too big. One of the the key ways to reign back things is through diet. We are what we eat, and are constantly rebuilding ourselves to stay alive. 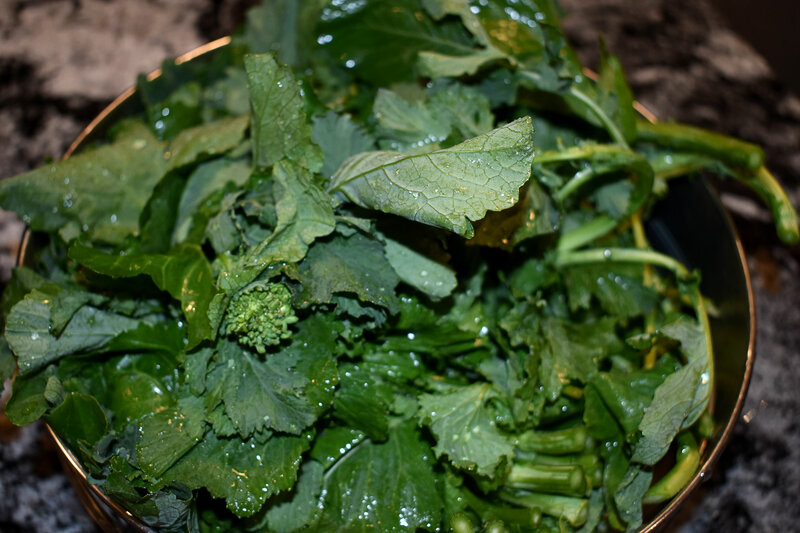 To aid the body in its recovery, it is imperative to increase the amount of greens we eat and cut back on all foods that feed the fires of inflammation. Not all greens are equal to this task and even time of year can play a role in quality. As such, the quality and makeup are important, including how long they have been sitting on the shelf. This makes a big difference in the quality and how much it helps support our growth, wellness and recovery. It is Spring time in the Toronto, GTA area and Summer is quickly approaching. A very exciting time, as it means a bevy of fresh greens will be soon enjoyed daily. This lasts for the good part of the next 9 months. Our favourites for good health, wellness and to aid recover are freshly picked Swiss Chard, kale, spinach and collards. We would love to hear what your favourites are. If you are working through an injury or just want to feel vibrant, the answer is almost always the same. So please consider passing on the popcorn, set aside the rolls and make a big green salad instead. If you make it a daily practice you just might surprise yourself on how good it makes you feel. And your body will thank you in so many ways!